Generation 3AGM, 25.0-26.9 SNR, Minimum resolution 64 lp/mm. Comes with Tube Data Card. One of the lightest 4x night vision rifle scopes on the market is now available in high performance Gen 3A ITT PINNACLE technology with manual gain adjustment. The wide 10° field of view (FOV) of the D-740-3AGM makes quick target acquisition possible and is our best night vision recommendation for short to medium range hog and coyote control requirements. The waterproof, nitrogen purged housing is made from advanced materials which reduce weight and improve recoil resistance. The low profile puts the scope less than ½ inch from the barrel making this one of the flattest shooting night vision scopes available. This mounting system coupled with the micro click windage & elevation target turrets retains zero every time you pull the trigger. Generation 3AGM, 25.0-26.9 SNR, Minimum resolution 64 lp/mm. Comes with Tube Data Card. One of the lightest 4x night vision rifle scopes on the market is now available in high performance Gen 3A ITT PINNACLE technology with manual gain adjustment. 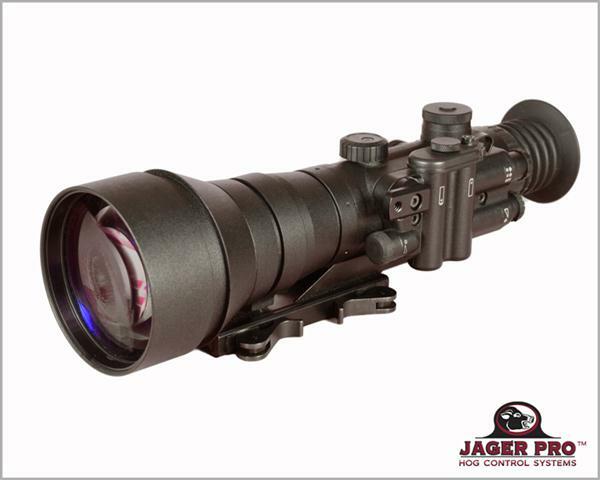 The wide 10° field of view (FOV) of the D-740-3AGM makes quick target acquisition possible and is our best night vision recommendation for short to medium range hog and coyote control requirements. 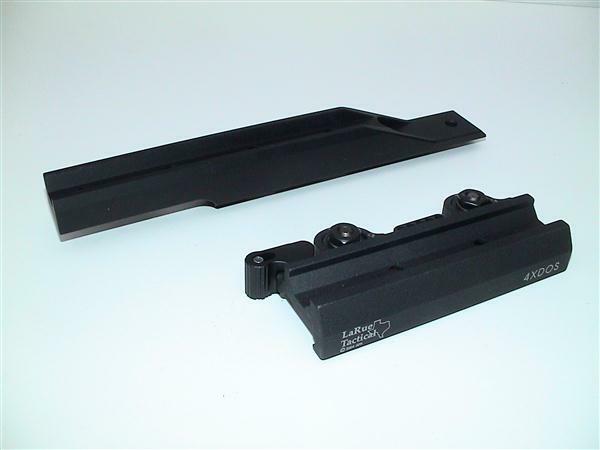 The waterproof, nitrogen purged housing is made from advanced materials which reduce weight and improve recoil resistance. The low profile puts the scope less than ½ inch from the barrel making this one of the flattest shooting night vision scopes available. This mounting system coupled with the micro click windage & elevation target turrets retains zero every time you pull the trigger. This product is subject to one or more of the export control laws and regulations of the U.S. Government. It falls under the control jurisdiction of either the Department of State’s International Traffic in Arms Regulations (ITAR) or the Department of Commerce’s Export Administration Regulations (EAR). It is a felony to export, attempt to export or otherwise transfer or sell any hardware or technical data or furnish any service to any foreign person, whether abroad or in the United States. In the ITAR (§ 120.16), a foreign person means any natural person who is not a lawful permanent resident as defined by 8U.S.C. 1101(a)(20) or who is not a protected individual as defined by 8 U.S.C. 1324b(a)(3).